Xigbar (シグバール, Shigubāru?) is a senior member and number II of the Organization who appears in Kingdom Hearts II. He is also referred to as the "Freeshooter" (魔弾の射手, Madan no Shashu?, lit. "Magic Bullet Shooter"). Xigbar's original self was named Braig (ブライグ, Buraigu?, mistransliterated as Bleig in the North American version). 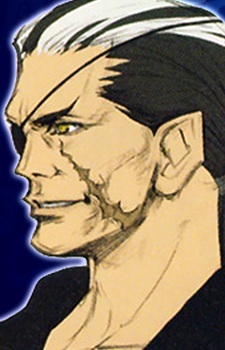 Xigbar is voiced by James Patrick Stuart in the English version of Kingdom Hearts II and Hōchū Ōtsuka in the Japanese version. He controls Sniper Nobodies, and in battle he uses Gun Arrows and manipulates space to teleport himself, warp his bullets, and levitate upside down. Xigbar initially appears before Sora at Hollow Bastion near the beginning of Kingdom Hearts II, though he never takes off his hood, and compares him to Roxas. During the player's second visit to the Land of Dragons, he transforms a dragon into a Heartless, and leaves after Sora confronts him in the Emperor's Palace, summoning his Nobodies to cover his escape. In the World That Never Was, Xigbar confronts Sora again, confusing him by calling him Roxas. Xigbar fights Sora's party, and after they defeat him, he fades into the darkness, refusing to clarify to Sora the mystery of "Roxas".